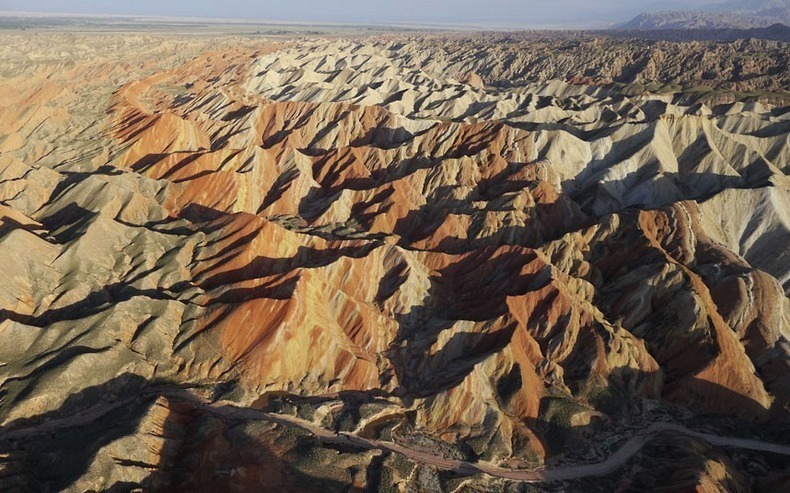 The Danxia landform is a unique type of “petrographic geomorphology” found in China, characterized by strips of red sedimentary rock in steep cliffs. According to Wikipedia, “the landforms look very much like karst topography that forms in areas underlain by limestones, but since the rocks that form danxia are sandstones and conglomerates, they have been called "pseudo-karst" landforms.” A very peculiar feature of danxia landscape is the development of numerous caves of various sizes and shapes. The caves tend to be shallow and isolated, unlike true karst terrain where caves tend to form deep, interconnecting networks.